While the developers at Mega Crit Games made Slay the Spire somewhat more approachable during that time, it’s still far from easy. Most of your runs through its three-floor dungeon will be cut short, as mine often have been, through poor planning, bad luck, or a combination of both. Here are some tips to help you survive longer and, potentially, even make it to the end of the game in just a few short sittings. Study each map ahead of time and plan your path so that it’s evenly balanced. There are six types of rooms in Slay the Spire, each classified by what is in them: monsters, elites (mini-bosses), merchants, treasure chests, campfires, and mystery rooms (could be anything). Try to plot a course through each floor of rooms that minimizes the risk of you getting halfway through and dying because you hit an elite room with only a third of your health. There are usually two or three campfires where you can heal over the course of each level, so you’ll want to find a course that evenly spaces them out and doesn’t involve fighting more than three monster rooms in a row. That means choosing a path that has some treasure chest and question mark rooms mixed in. Don’t chart a course that brings you through four monster consecutive rooms that end in an elite. Grab power cards early on and try to build the rest of your deck around them. Unlike most cards whose effects are one-time, power cards’ effects reoccur every turn. The Ironclad card Demon Form, for instance, adds two strength to your character every turn, or three if you upgrade it (which you always should). This stat buff gets applied to all your attacks and makes them more powerful the longer a fight goes on, giving you room to play defense while still making progress. The Silent power card Noxious Fumes applies two points to all enemies at the start of every turn, another useful thing that stacks each turn. As soon as a power card pops up after a fight or at a merchant, do whatever you need to do to grab it. Start building additional card synergies as early as possible. Play as many cards as you can every turn. Unlike in other card games, you discard your hand after every turn. That means that even if you have a card that’s part of a combo, the other parts of which are currently missing, you should still go ahead and use it. It’s going in the discard pile either way. Similarly you should try to use all of your energy each round as well. Maybe you have a card that costs two energy and three that cost one. Odds are you’ll want to use those three rather than just the one. That’s not always the case, especially if the choice is between blocking or attacking. Always make sure to do the math so you’re maximizing the damage you do each turn and/or minimizing the health you lose. Decades of role-playing games have taught us to mash the attack button and heal up later. You can’t do that in Slay the Spire. Campfires are rare and only heal you 30% of your max health. If you’re playing as someone other than Ironclad, you’re not even getting the six regen points after reach fight. As a result, every bit of health is precious. While there are some cases in which you can minimize the bruising your character takes by going all out on attack, most enemies stick to patterns which you can exploit to cleverly navigate through fights mostly unscathed. If the bubble over an enemy’s head says it’s attacking, try to use at least one block card. If it’s going to buff itself or debuff you, go for damage. The later into a run you get, the more likely you are to have more cards that deal lots of damage in combos when they come into your hand. It’s fine to sit back on the defensive and wait for them to pop up. Try to settle on whether to go with a small deck or big deck early on in a run. There are two schools of thought on deck size in Slay the Spire. Some players try to removes cards from their deck so that only a powerful core of 15 or so are in rotation. Others find that, on average, you’re better off with a thick deck because it’s cheaper and also makes you more flexible depending on which bosses you encounter. If when you start a new run the whale offers you the opportunity to remove two cards from your deck, you should take it. If by halfway through the first level you find you’ve been able to scrap at least half the dead weight from your deck (default strike and block are all dead weight compared to their more powerful variants) than you’re well on your way to creating a potentially great tiny deck. If that’s not the case, though, you should save your extra gold for relics, most of which have benefits you can capitalize on more frequently than the slightly increased odds of drawing your favorite card. Don’t keep adding cards to your deck just because you can. Every time you finish a regular monster room you’ll get to add one of three cards to your deck as a reward. You don’t have to. In fact, you can just grab your gold and skip that part. Early on, assuming you are building a thicker deck, you’ll want to grab cards as often as possible because they will likely all be better than the regular strikes and blocks you already have. By the mid-game, there’s no reason to add a new card to your deck if it’s not better than two thirds of the cards already in your deck. Unless it fills an existing gap—not enough defense, not enough offense—it will just get in the way of drawing the strongest combination of cards you can. In addition, it can sometimes be hard to pass up on a rare card, even when it doesn’t fit in with the current strategy of your deck. Fight the urge to horde them. Don’t be afraid of curses. Slay the Spire is all about making trade-offs. No matter which decision you make it will always have at least some drawbacks. Curses are one sort of drawback. Often you’re given the choice of getting something—extra health, an additional energy per turn, or upgrading a card—in exchange for adding a curse to your deck. These curse cards take up space in your deck and have negative consequences when they’re drawn into your hand, so they might seem like more trouble than they’re worth. More often than not though it’s the opposite. Especially if you’re building out a thick deck, you’ll hardly notice them. Unless you’ve already got a handful in your deck, don’t be afraid to add a few more. Unlike the name suggests, they’re actually pretty benign in small quantities. Don’t be afraid of elites. Every level has a handful of elite fights. You can usually hit at least two of them on a single path, and while any one of them can kill you if you aren’t smart about the fight, the relics they give you from winning are invaluable. One of the hardest resources to manage in Slay the Spire is time. There are only so many rooms you can venture through before facing the final boss, and not getting the most out of them is an easy way to fall short when it comes to that final encounter. Slay the Spire runs don’t take a super long time to complete, so it’s better to risk fighting elites early on and being forced to restart than getting to the end and realizing you’re not powerful enough to win. Cards you should almost always get when you see them. Relics you should almost always get when you see them. Don’t sacrifice too much defense for offense. Every character and every build requires both attacking and defensive cards. 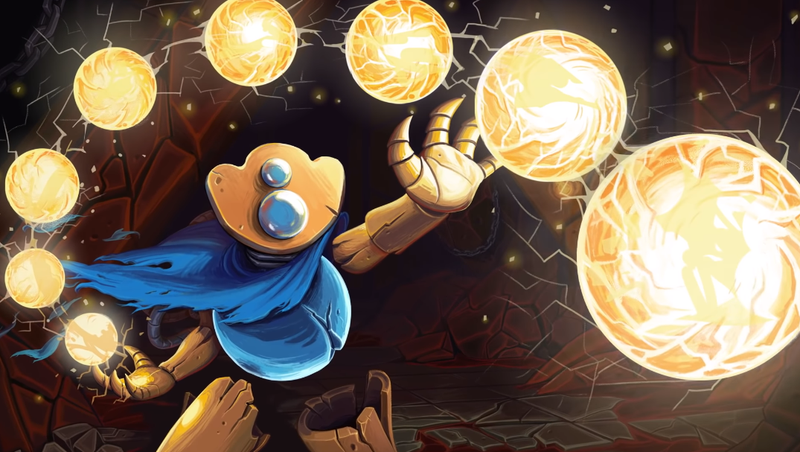 Staying alive in Slay the Spire is hard, and there are very few buffs or items that can turn a really great offense into a substitute for defense. Sooner or later you’re going to need to block a boss from wiping you out with back-to-back attacks dealing 40+ damage. Make sure you don’t chase one particular synergy at the expense of having an even number of attacking and defending cards. It will almost always end in tragedy. One of the new features Slay the Spire got during its extended Early Access period was mod support. Even if you don’t normally mess around with them, Slay the Spire has some that are too good to pass up. While Mega Crit Games has only put three characters in the game to start, players have already added lots of their own, including a Witch that focuses on strategies around curse cards and a Slime that relies on acid-related buffs and debuffs. There are also general mods that add new cards, make the game easier in various ways, and add unique new cards and relics to change things up. Since it’s all done through the Steam Workshop they’re easy enough to install and are an excellent way of extending the game beyond the content that currently exists. It’s not that the game is short, though. Unless your a Slay the Spire savant, getting through all 20 of the special Ascension runs will take a long time. Those are my tips for getting started! If you’ve been playing Slay the Spire a ton over the last year, please be sure to share your own in the comments.